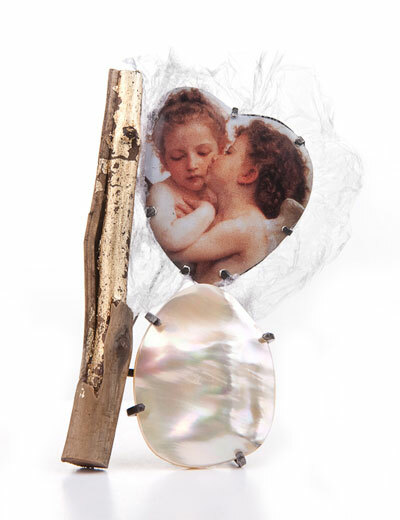 From June 30 through September 11, 2011, the work of the important Berlin jewelry artist and designer Georg Dobler will be presented in an extensive exhibition in the Silbersaal of the Deutsches Goldschmiedehaus. In addition to their aesthetic quality, the selected pieces from the years 1980 to 2010 document the highly noticeable artistic evolution that Dobler (born 1952) has expressed in his work during the last three decades. 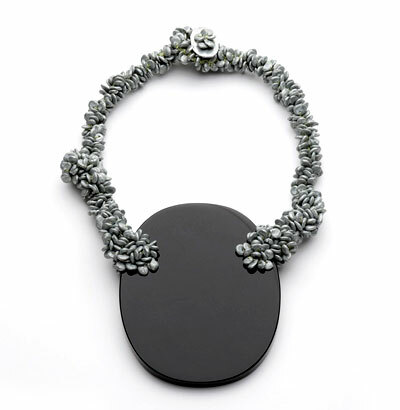 Soon after successfully completing his training as a jeweler/goldsmith, Dobler disassociated himself from traditional goldsmith design – the works created starting in 1979 exhibit a distinctly reduced formal language. They are lattice-like pieces oriented on geometry, mostly of steel wire and black chrome, that appear to have been designed on a drawing-board and that give structure to the surrounding space. 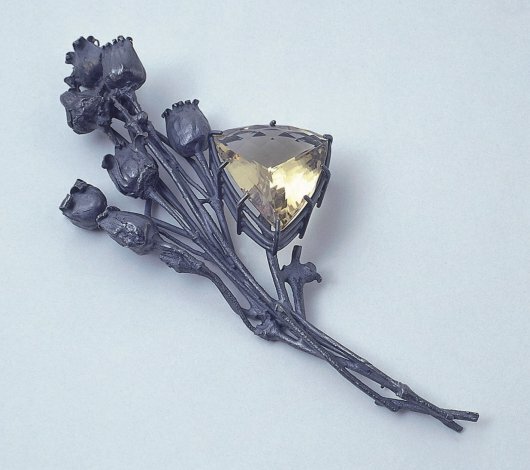 Beginning in 1986, Dobler’s creations underwent another radical shift: molds of plants, fruits, and insects were cast in oxidized silver – in combination with large, mostly cut, colored stones – aroused his interest. 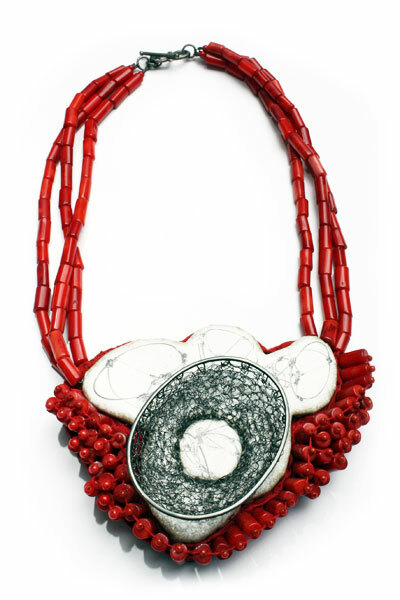 Falling back on earlier examples – with new interpretations, however – these necklaces and brooches, in particular, demonstrated an opulence that now had come back into fashion in spite of all the resistance. In a third stylistic “break,” in recent years Dobler has returned to an earlier reduction of this opulence. 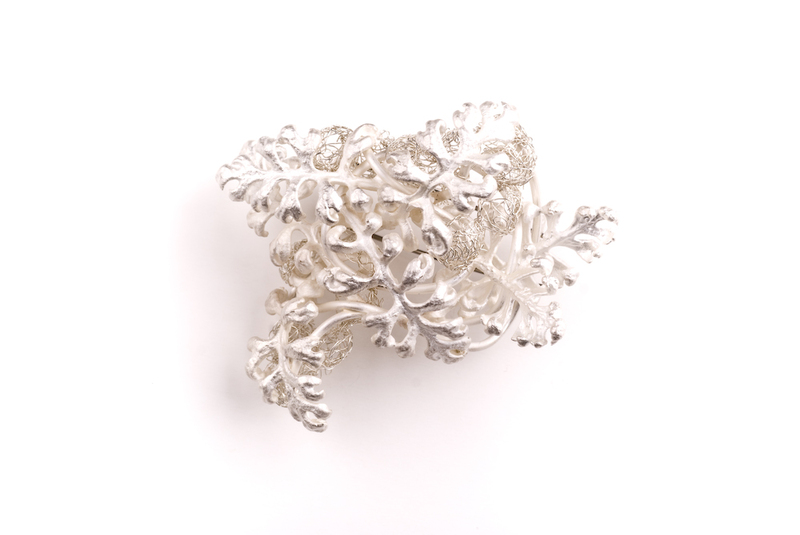 Although nature casts of branches form the matrix for the brooches, through the utilization of acrylic resin, the attached “blossoms” no longer appear as being natural. 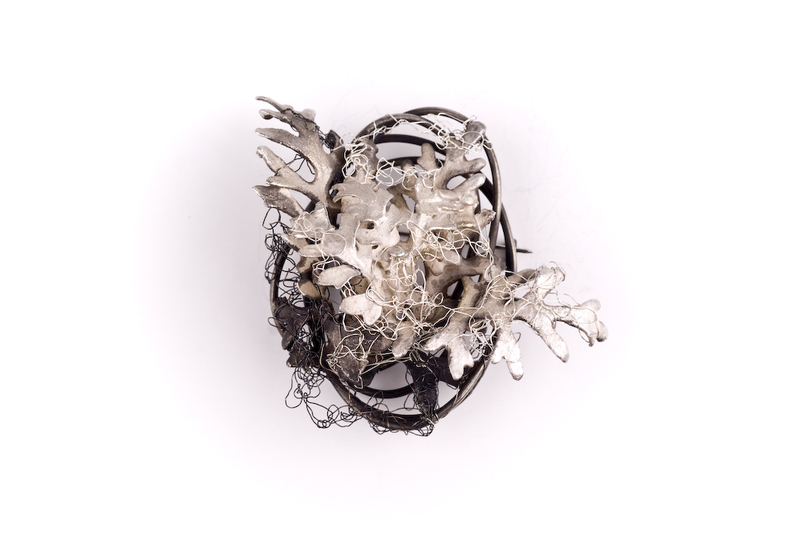 The extremely differentiated forms and the thus established new and reflective contemplation of this important jewelry designer and university teacher at the Hochschule für angewandte Wissenschaft und Kunst in Hildesheim define the appeal of this presentation. Where does a « Parallel World“ exist? In a different universe? Can one discover this world through time travel? Is it perhaps possible to see this world in a dream? Or does it only exist in one’s heart? The world we see is only a part of the entire reality which is composed of many worlds existing simultaneously, side by side. We can find “Parallel Worlds” whenever we open our eyes and hearts. They are always with us. 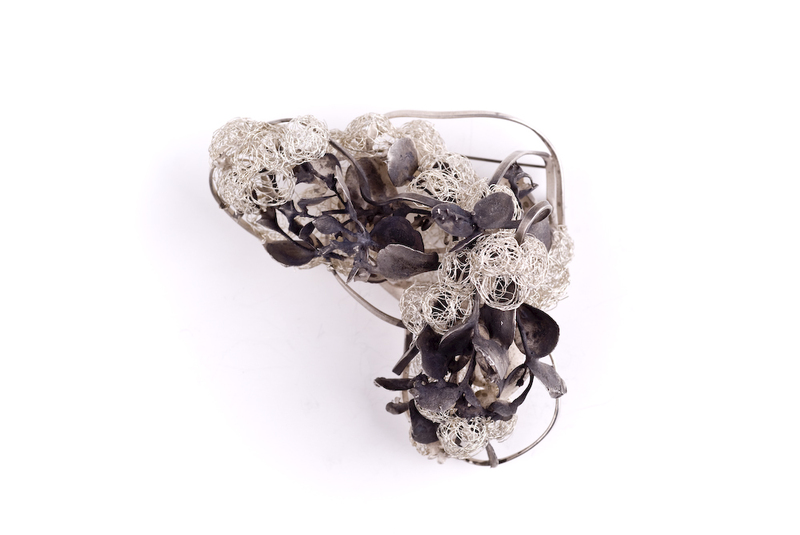 Parellel Worlds is accompanied with a new catalogue presenting the work by Mari Ishikawa. Photographs under moonlight require longer exposure, which is a time of silence. In that way, I look at the fluidity of time in the darkness. Under the moon light there are grey worlds. But when I take a picture of such a grey world, they show me different pale colours, which I can’t see with my eyes. The shape of plants attracts me. Their perfection surprises me. For whom and why are they so beautiful? The green colour of plants is mysterious. This is because we can’t dye anything green using plants, even though they are green by themselves. Their colour can’t be preserved. Green is a colour of an illusion, and only where life is. Under the moonlight they show me profound, various grey. They are just there and gone soon. 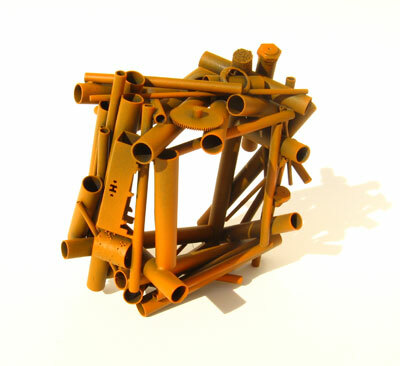 Artist list : Rinaldo Álvarez, Johannes Borst, Isolde Baumhackl-Oswald, Iris Bodemer, Britta Rejek, Fabrizio Tridenti, Martin Spreng, Mieko Suzuki-Wanner, Walter Wittek, Barbara Amstutz, Maike Dahl, Eva Bauer, Thomas Dierks, Martina Lang, Anna Moll, Isabell Schaupp, Violetta Elisa Seliger, Albert Wörner Company.